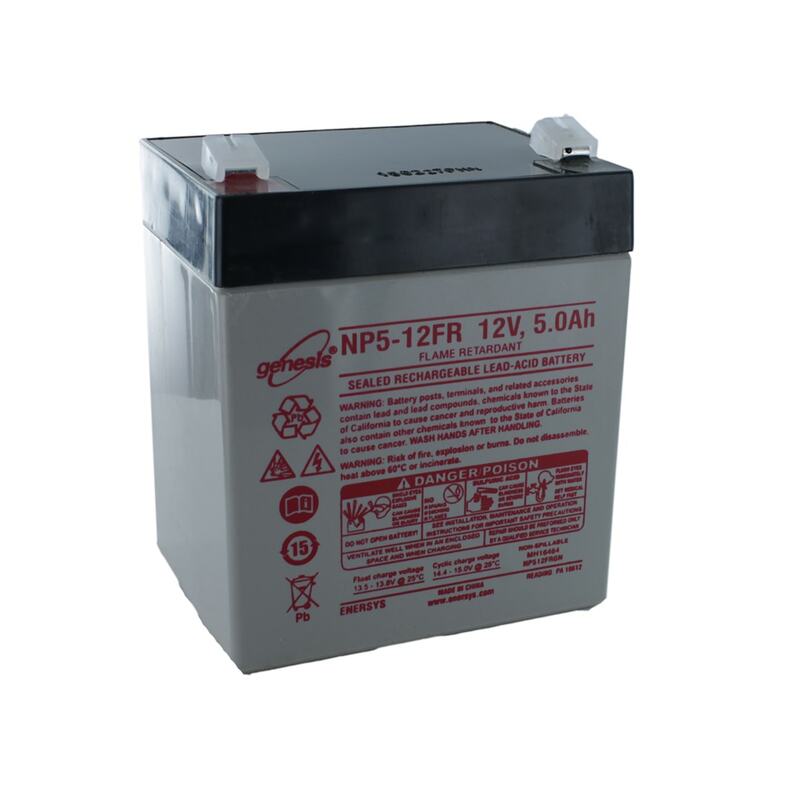 The EnerSys NP5-12FR is a rechargeable 12V 5Ah sealed lead acid (SLA) battery that is commonly used in cyclic applications. The FR in the product code indicates that this is the Flame Retardant version of this battery. This product is a part of the Genesis range by EnerSys.